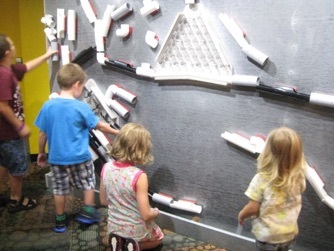 Mount a sheet of steel on an unused wall, add an assortment of our pipes, elbows, tees and other gadgets, and you have an quick but very engaging engineering activity to challenge inventors young and old. 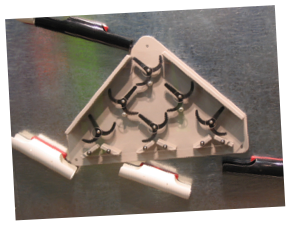 The components have durable plastic bases with strong magnets permanently embedded, to make it easy to arrange them on the wall. 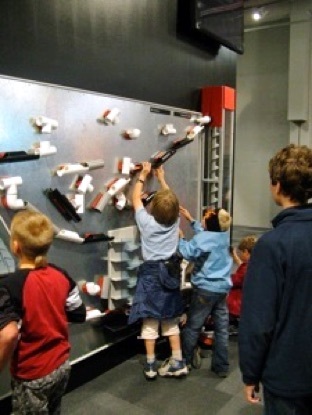 Add an Archimedes Screw ball lifter, to reach even higher levels of active, STEAM powered fun. 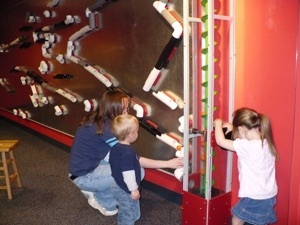 As the photos show, our Magnetic Ball Wall is easily adapted to a range of scales and settings. 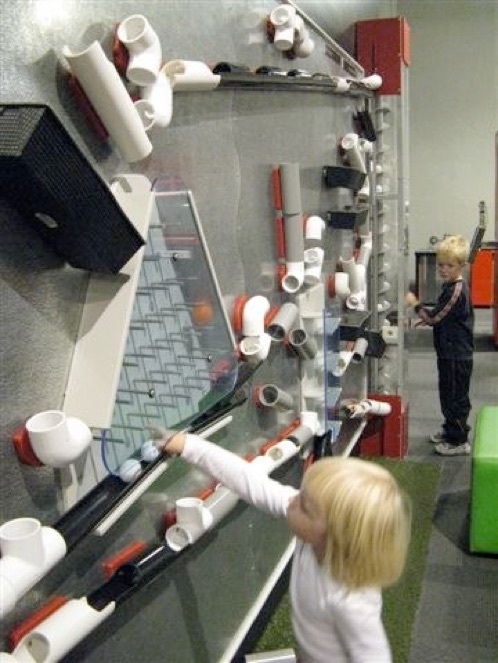 A small wall is perfect for a preschool, where kids’ mastery grows exponentially with daily use. 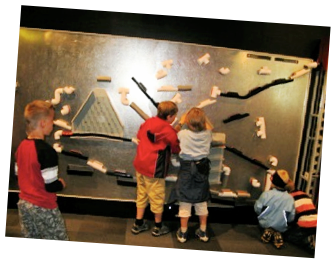 A big wall is great for big box museums, for a huge dose of family-friendly Active Prolonged Engagement. 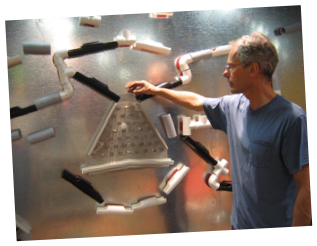 We’ll help you create a wall to fit your needs to perfection. Building the future in Bergen. Young Norwegian engineers at VILVITE in Bergen. 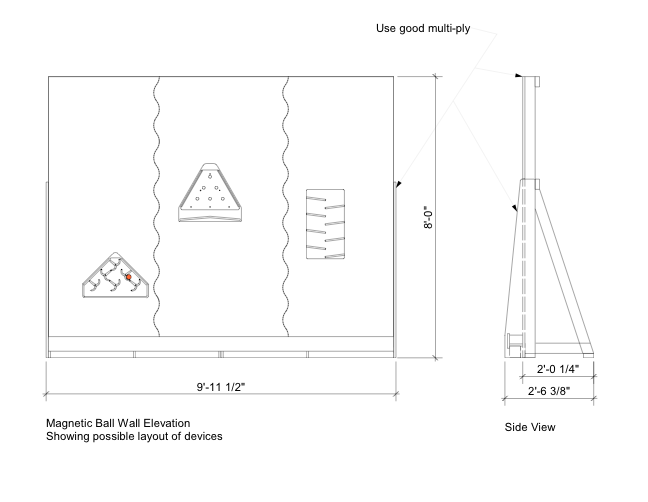 Sketch for a free-standing installation. 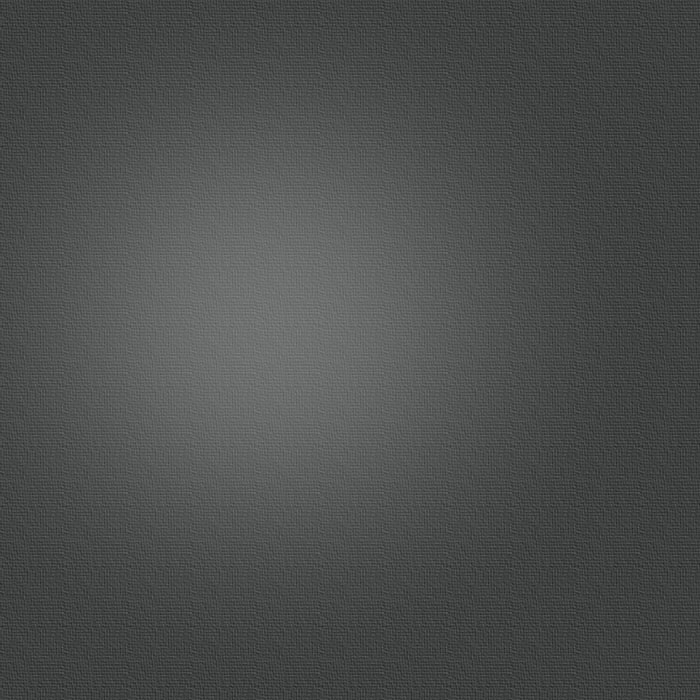 Easily scales to fit your gallery. Our Flip-Flops gadget distributes balls in sequence to each of the four outlets, for a fun mini-lesson in binary arithmetic. 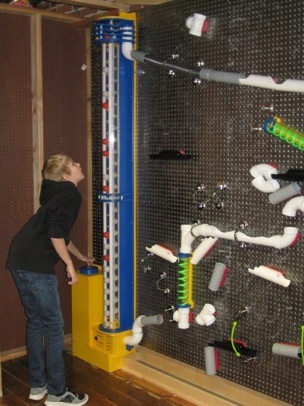 A billion times better than a blank wall! Get one!